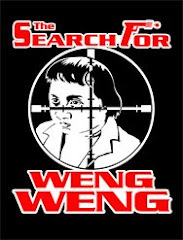 After the death of a native king, two members of the village compete in a race to retrieve the Green God and thereby win the leadership of the tribe. Tarzan dogs their trail to protect the final outcome of the contest, but is distracted when an unscrupulous hunter targets the ape-man for addition to his menagerie. 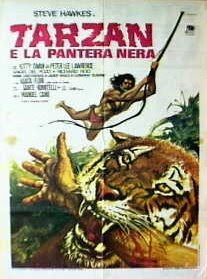 Hawkes returns as the jungle lord, but the correction of his character's name to "Tarzan" is one of the only upsides of this second film by director Manuel Caño. His build seems less defined this time around, and appears inconsistent at times due to the use of recycled footage from the first film. 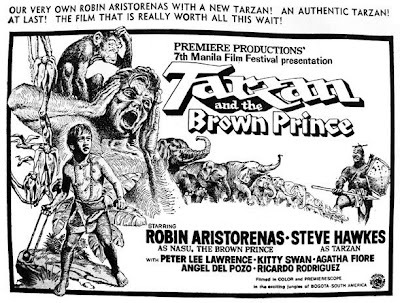 Kitty Swan, who played the Amazon queen and love interest in the first movie, returns as Tarzan's "mate" in this film, but I was not clear if she actually represented the original character or a new one, as her name was never spoken. 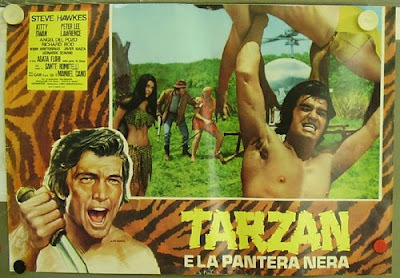 Most disappointing and perplexing, though, is the misuse of Tarzan in this film -- he spends most of his time in the trees, simply observing the activities of the other characters, and has very little dialog or interaction throughout. This is a huge step back from the active and involved ape-man from "Tarzan en la Gruta del Oro", though the film does manage a few interesting moments -- the underwater fight with the crocodile is somewhat realistic and kinda cool! As a point of trivia, Steve Hawkes suffered serious injuries when he was burned over the majority of his body during an accidental fire on the set. According to Hawkes, he was rescued by a lion that had been trained to free him from the bonds that held him pinned to stakes driven in the ground. From that point forward, he resolved to dedicate his life to the care of big cats that have been cruelly treated, and lives as a modern-day Tarzan among a host of lions, tigers and panthers in JungleWorld -- his private wildlife sanctuary in Florida.